Citizen Kane meets Revenge of the Nerds. It’s ridiculously entertaining. Let me start by telling you what The Social Network isn’t, because it’s a lot of things you might not expect. First of all, it’s not really about Facebook, even though many people are calling this “the Facebook movie.” It’s more about trust and betrayal than what Facebook does or how the enormously popular site has changed our social interactions. Second, it’s not a typical David Fincher movie. The director is associated with special-effects bells and whistles from his Fight Club and The Curious Case of Benjamin Button, but this film is a rather old-fashioned piece of entertainment, built on dialogue, character, and performance rather than any directorial trickeration. Finally, many people are calling this the best movie of the year. Well, that may actually be right. 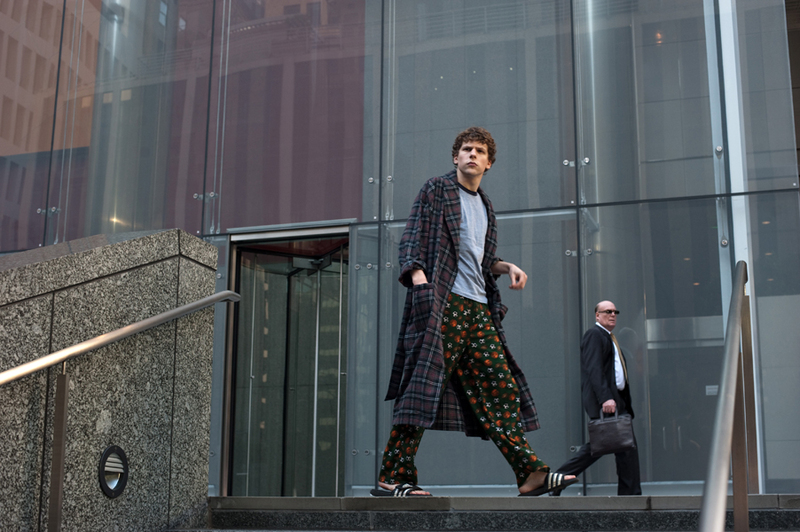 Based on Ben Mezrich’s book The Accidental Billionaires, the movie begins in fall 2003, when Mark Zuckerberg (Jesse Eisenberg) is a Harvard sophomore and misanthropic computer geek who’s consistently ignored by the university’s stratified social scene. A prank of his gains the attention of brothers Cameron and Tyler Winklevoss (Armie Hammer portrays both twins, augmented by CGI and fellow actor Josh Pence). These crew rowers and scions of wealth want Mark’s help developing a social networking web site for Harvard. Their idea sparks a bigger idea in Mark’s head, and he goes to his one friend at school, Eduardo Saverin (Andrew Garfield), to bankroll what he initially calls “the Facebook.” While Mark secretly works on his site, he strings the Winklevosses along, hiding behind nonexistent homework so that he can delay their site long enough to beat them to the web. Much of the story is told through the framing device of depositions in two separate lawsuits filed against Mark by Eduardo and the Winklevosses. Jesse Eisenberg can be a romantic lead (Adventureland) or a funny man (Zombieland), but he’s at his best when he’s playing horrible little bastards. That’s very much how he plays Zuckerberg, and his performance here is a marvel. When the character explains his obsession with Harvard’s social clubs, Eisenberg’s joyless, poisonous delivery of the line “They’re fun and exclusive and lead to a better life” reveals a soul consumed by avarice. Eisenberg plays close to the chest (Mezrich’s account describes the real-life Zuckerberg as an inexpressive guy), which lends power to his depictions of moments when Mark is moved to awkwardly display emotion: a contented smirk when an early web site of his crashes Harvard’s server or an ecstatic head-bobbing trance when he finally launches Facebook. The actor creates a compelling portrait of a lethally smart troll fueled entirely by resentment — of the girl who dumps him (Rooney Mara), of his rich good-looking fellow students with better social skills, of anybody who doesn’t bow down to his genius for writing computer code. That resentment explains why Mark shows up to legal proceedings wearing flip-flops and a hoodie, then heaps steaming intellectual scorn on well-dressed lawyers and professors three times his age. Veteran screenwriter Aaron Sorkin cadges some of Mezrich’s best lines but contributes plenty of trademark verbal pyrotechnics of his own, right from the opening scene when Mark’s barroom conversation flits among at least three different threads at once until his girlfriend, struggling to keep up, bursts out, “It’s exhausting dating you! It’s like dating a Stair Master!” A far less gifted director could have made a good movie out of this endlessly quotable script. Fincher inserts a slow-motion crew race sequence that seems to be there just to let us take a breath from all the dialogue, but he mostly just lets his actors say their lines. He edits the film so that it runs at a breakneck pace without ever seeming to break a sweat. The combination of intelligence and speed is enough to leave you drained. 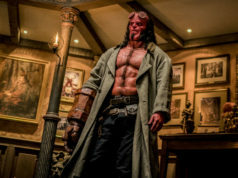 Much of the film’s second half details a battle for influence over Mark and Facebook between Eduardo, the one person who bothers trying to engage the snappish Mark on a human level, and Napster co-founder Sean Parker (Justin Timberlake), a smooth-talking sycophant who nevertheless intuits what Facebook can be, horns his way into the company, and leaves Mark starstruck. The three actors play out this drama impeccably, with Timberlake dominating his scenes with an easy mastery and Garfield demonstrating how Eduardo’s fundamental decency leaves him outflanked. There have been movies about guys who make billions and lose their souls, going back to Citizen Kane and further. This one doesn’t offer up any thunderbolts of insight about capitalism or the American Dream, but it’s a convincing human drama about young entrepreneurs making hard choices as their startup company goes global. It’s tempting to view this movie’s version of Mark Zuckerberg as a nerd hero, a guy who tells everybody to go screw themselves even before he has a brilliant idea that brings them all back to him with their wallets open. Yet it’s hard not to notice the irony of Mark driving away all his friends while his invention helps half a billion people make friends. The final scene leaves him sitting at his computer, oblivious to all his wealth and power, compulsively hitting the “refresh” button. Sometimes the people who change the world are as limited and unlikable as this. Starring Jesse Eisenberg and Andrew Garfield. Directed by David Fincher. Written by Aaron Sorkin, based on Ben Mezrich’s book. Rated PG-13.